5 things You Can Do to Keep Your Roof in the Best Possible Condition. Most of the damage done to your roof is caused by severe weather like heavy rain, strong winds, hail and snow storms or hurricanes. Although this type of damage is unavoidable, there are precautions you can take to prolong the lifespan of your roof. Here are 5 things you can do as home and business owners to keep your roof in the best possible condition. 1. Clean out your gutters regularly. Most people do not realize how important it is to clean out their gutters regularly. The gutters are essential to keeping the roof dry and protecting your roof from water damage. When your gutters are not properly cleaned out the water is unable to run from the roof to the ground. This water gets trapped and begins to pour where it does not belong which can result in extensive damage not only to your roof, but to other areas of your home. To avoid this from happening to your home, make sure you clean out your gutters twice per year. 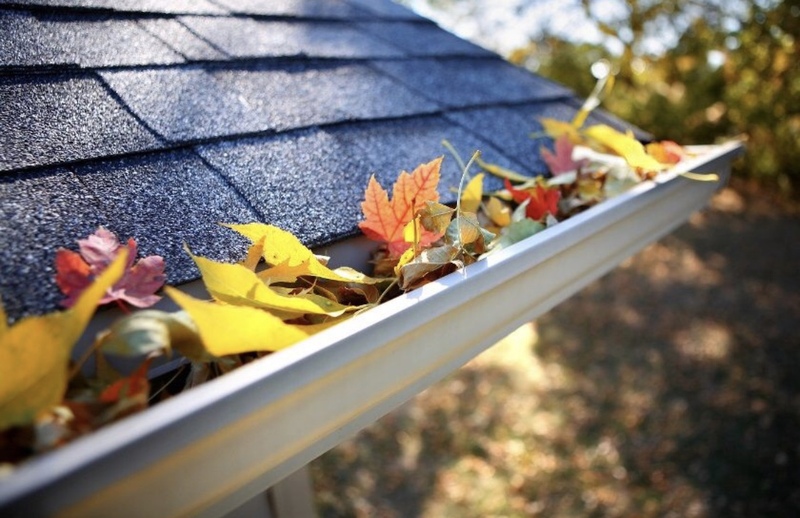 Clean out your gutters at least twice a year. 2. Trim your Trees. Make sure you keep tree limbs groomed when they are close to the foundation of your home. When limbs get too long, they start rubbing on your roof and siding. They have nowhere else to go. Eventually they will start to cause wear and tear to your roof, such as holes that allow water to leak through. This can create huge problems for your home. So, pay attention to the trees surrounding you. 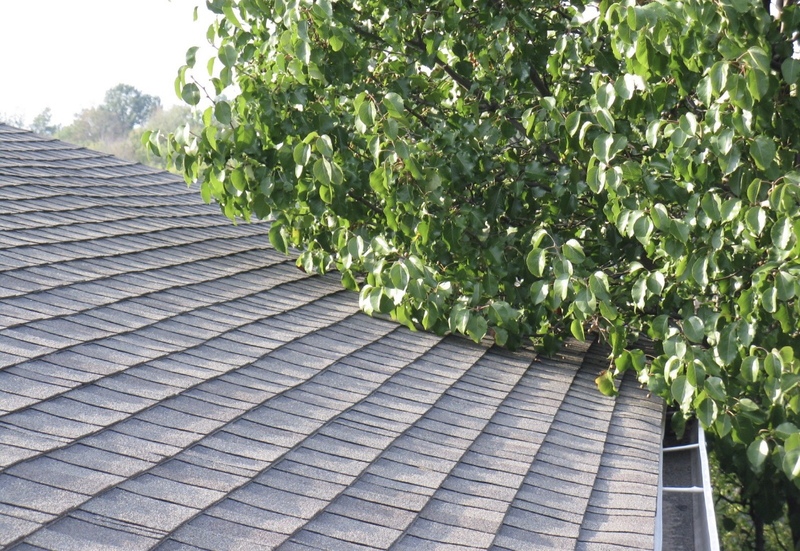 If the branches are close to your roof or siding, trim them down to avoid unnecessary wear and tear. Make sure you keep tree limbs trimmed back away from your roof. 3. Avoid pressure washing your roof. 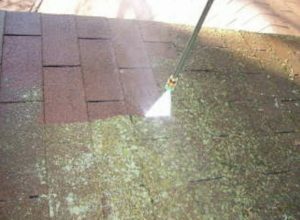 Before you decide to pressure wash your roof, you should know that the damage it causes does not outweigh a clean looking roof. 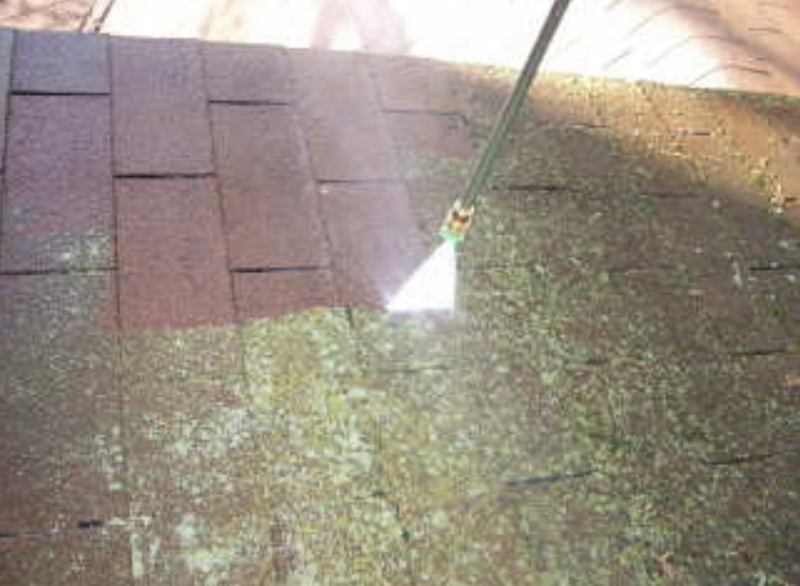 In the short-term your roof will look great, but in the long-term you will notice a build-up of moss, algae and mold. This is the result of the slow erosion caused by pressure washing. The intensity of the water jet can take the top layer of coating off any roofing material. This leaves the surface more susceptible to deterioration and water damage. If your roof is in need of a cleaning, it is best to call a roofing professional. Do not pressure wash your roof! The intensity of the water jets can make the problem worse. 4. Stay proactive with mold and mildew removal. Being that they provide coverage for our homes, roofs are constantly exposed to the elements. Since are not able to avoid the variety of precipitation and heavy winds we experience throughout the year, mold and mildew growth is inevitable. If left unattended, mold can lead to moss which forms water pockets. To avoid this process, it is recommended you have regular inspections and/or maintenance done to clean up small spots of mold. This will increase the lifespan of your roof and preserve its structural and cosmetic nature. Help keep your roof mold-free by scheduling regular roof inspections. 5. Leave maintenance and repairs to the professionals. There are 2 main reasons we recommend you hire a roofing professional instead of fixing it yourself. The first reason is that we care about your safety. 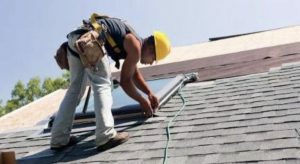 Unlike the professionals who have spent hours learning the safest and most effective way to fix and install roofs, you are not familiar with the proper practices and techniques. Not only is your roof a few stories above ground, you will be handling tools you do not use on a daily basis. If you are not careful, you could end up in a dangerous situation. That’s why it is best to leave it to the professionals. The professionals are also going have a better knowledge of warranty and pricing information. They will know which materials are worth spending the extra money on and which ones provide the best bang for their buck. They will advise you through the whole roofing process and help you choose options that are best for you. Contact JM Roofing Group for all your roofing needs! If you remember to do these 5 things regularly, you will prolong your roof’s lifespan and keep it in the best possible condition. Let a JM Roofing representative help you resolve all your roofing needs, today! Contact us for a free consultation at 800-409-5709. In today’s digital society, your online brand presence and reputation is one of the most important aspects of your brand. The words you say, the tone your use and experience you provide to your customers all play a key role in the success of your business. Your social media accounts, like Instagram, Facebook, Youtube and Twitter, are the most common places that current and potential customers will interact with your brand. Taking the time to develop and execute an online branding strategy will expose your company to the right target market and allow them to build an emotional connection with your brand. Develop a posting schedule for your accounts and stick to it. Make sure the timing, content and location of your posts is consist, so customers know what to expect from your brand. By doing this, you are establishing your reliability and build trust between your brand and your customers. People relate to other People, not to products. Yes, the product or service you provide to your customers is the reason for the initial interaction, but it is usually not the main reason customers develop brand loyalty. Brand loyalty comes from the relationship your brand and its representatives build with the customers through your interactions. Customers like to share their opinions and provide feedback for future customers. They will comment on your posts and leave reviews about the service they provide. What they say becomes a major part of your brands reputation. It is important for your brand to respond to their feedback. Whether it is negative or positive, people like to know their opinions have been heard. Your response shows your audience that you care about their wants, needs and concerns. Establish Expertise within the Industry. When customer is on the market to have some roof work done, there are countless roofing companies to choose from. So how can you ensure they choose yours? You must establish expertise within the industry. You must show current and potential customers that the knowledge you have will add value to their roofing experience. Blog posts are a great way to showcase this knowledge and provide customers with insightful information that will assist them with roofing decisions. Ideally, this will strengthen the relationship between your brand and your customers, so they come to you with all their roofing needs. Using hashtags that are relevant to your brand and the industry can be extremely beneficial in establishing your brands online presence. They help organize your content and expose it to the right target market. They increase post engagement by 12%. They are a great way to introduce your brand to potential customers on social media and increase your brand awareness. 3 Benefits of Fixing Your Roof This Winter! There are 3 major benefits to replacing your roof in the winter. This is especially true for home and business owners in southern states like Florida or Georgia. Even though these states see little to no snowfall, they experience increased strong winds and heavy rain throughout the winter months. In addition to dealing with harsher conditions, these states are still recovering from the damage caused by hurricanes in the previous months. Florida is the most hurricane-prone area in the continental US, so it is important to stay on top of your roofing inspections and repairs. This not only ensures damage is fixed from the past hurricane season, it also reinforces your roof going into next season. Leaks can get worse when left unattended. Even the smallest of leaks can lead to extensive mold and water damage. The roof surrounding the gutters is one of the main areas susceptible to this damage. That is why it is important to get your gutters cleaned out regularly. If leaves and debris are not properly cleaned out of the gutters, they inhibit water which in turn causes water damage. Damage leaves your roof vulnerable to the elements. As it was stated earlier, with winter comes, harsher conditions. In the North its snow and ice; In the South its strong winds and heavy rains. All of these elements cause damage to your roof. The most common form of damage is loose shingles. Leaving loose roofing materials unattended throughout the winter greatly increases your chances of water damage. Some Materials are easier to install in the winter. If you are on the market to have your roof replaced, you should highly consider having it done during the winter. Some materials are easier to install during the colder months of the year, such as a metal roof or asphalt shingles. So, what are you waiting for? Give JM Roofing a call today and start the New Year with a new roof! Talk to a representative at 800-409-5709 to set up a free consultation. The JM Roofing Group strives to maximize your roof life and extend the viability of your existing roof. We are committed to providing our customers with quality craftsmanship and prompt customer service. We are continuously evolving and expanding our knowledge and understanding of the complexities and challenges of every roofing system. 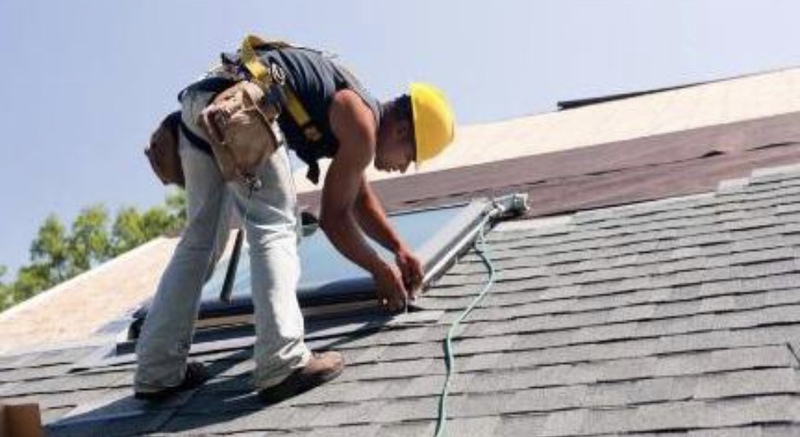 All of our contractors and representatives are trained personally by Joshua Miller, founder of JM Roofing Group, and provided with the necessary tools and experiences to represent home and business owners the way he would. Our southeastern based roofing company has provided industry leading service since 2005. We are experts at helping you navigate the process of getting your roof restored. 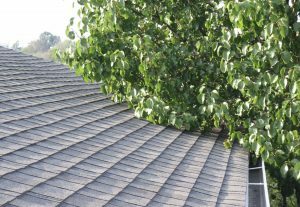 Whether you are suffering from buckled shingles, leaking roof penetrations, high wind damage or blowing leaves and debris, we are here to help without drenching you in costly repairs. We are not just a group of roofing professionals. We are your neighbors and your friends. We take pride in the communities we serve and are dedicated to restoring their livelihood one roof at a time. We offer residential, commercial and restoration services in the Kentucky, Ohio, Georgia and Florida markets. All of our markets currently offer commercial services are state-wide. We are working to improve our presence in the Florida market and contribute to the restoration efforts needed following the hurricane season. Roofing Professionals: Here is Why You Should Get HAAG Certified Now! If you are a roofing contractor looking to grow your clientele or evolve your industry expertise, then the HAAG Certification Program is the perfect option for you! The HAAG Certification program is a comprehensive training that extends a contractors ability to effectively and efficiently inspect and assess roof damage. This certification is a 3-day, intensive program designed for intermediate-level professional. The program offers three course options: residential roofing, commercial roofing and wind damage. Every course covers the topics of manufacturing, installation, weathering, hail and wind damage, maintenance, mechanical damage, repair costs, inspection safety, roof area calculations and applicable codes. There are several benefits to completing the HAAG certification program. 1. Showing you are “HAAG Certified” on your resume. The term “HAAG Certified” carries a lot of weight within the roofing community. Not only does it demonstrate your commitment to staying current with the technology and trends of the industry, it shows employers and customers that you have a deeper level of credibility. The exclusive practices taught in these classes increases your value as an inspector and provides you with heighted authority in the roofing community. 2. Ability to detect roof damage on a forensic engineering level. This 3-day course is designed and taught by the some of the industry’s leading Forensic Engineers. Combined they have over 300 years of field experience. These professional will equip you with the tools and knowledge necessary to elevate your roofing expertise when inspecting and assessing damage. 3. Staying up-to-date with your industry training. The roofing industry is constantly growing and evolving. As technology improves, the practices and methods of the roofing community must also progress. To ensure roofing professionals are receiving the most current industry practices and trends, the HAAG Certification staff is constantly updating its curriculum. The program also requires all HAAG certified professionals to participate in a short-recertification lesson every year to update them on any information added to the course throughout the year. So, what are you waiting for? Sign-up for the HAAG Certification course now to grow your expertise and deepen your credibility within the roof community! For more information on the HAAG Certification Program visit http://haagcertifiedinspector.com/.